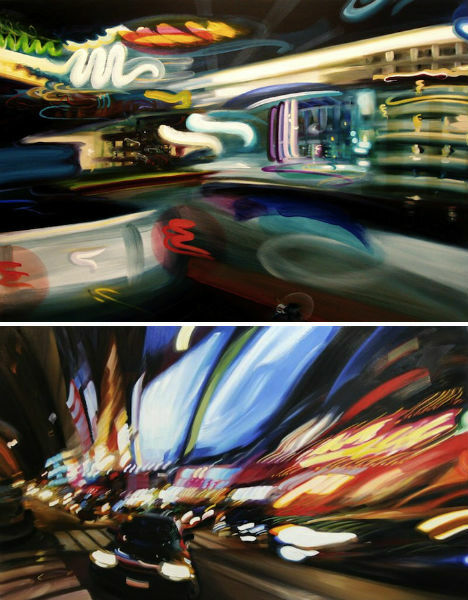 If you’ve ever been intoxicated enough to feel as if the world were spinning around you at 100 miles per hour, these oil paintings by Alexandra Pacula will look familiar. 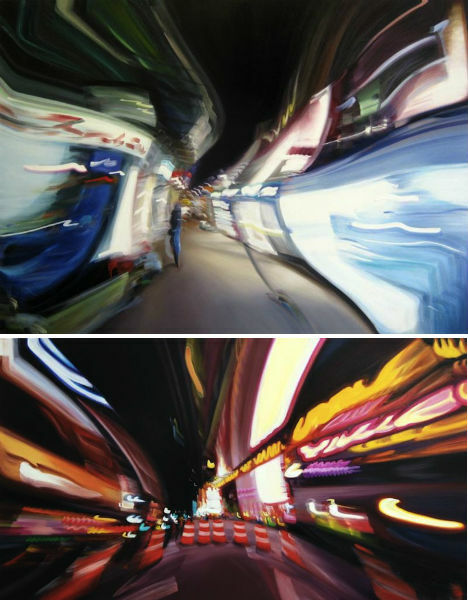 But it doesn’t take excessive alcohol consumption to experience this sensation; sometimes, all you have to do is stand still on a busy urban corner and take in the frenetic motion from a place of stillness. 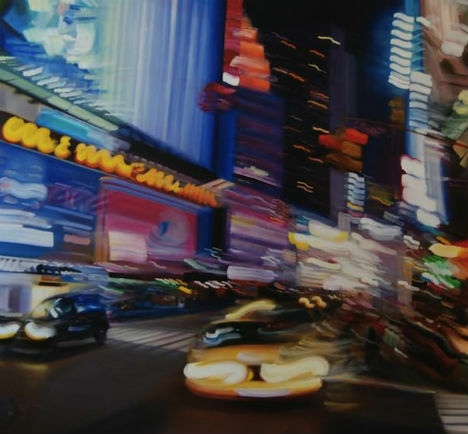 Pacula’s paintings of nighttime city scenes are intentionally blurred. 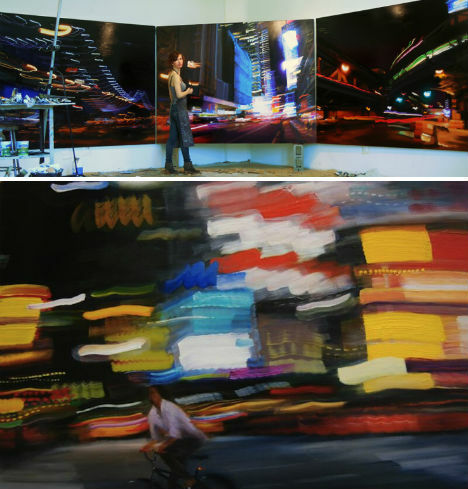 Each of Pacula’s paintings is mural-sized, making them appear in galleries as if you could step right into them. The stylized streaks of light suggest those seen in long-exposure photography.